You’ve probably heard about the benefits of using hypnosis for various health and wellness-related reasons, from fitness and weight loss to pain management to remedying various phobias. Can hypnosis also be helpful in sports training? Can it help you become more motivated, calm your nerves, and bring out the best of the skills you already have? In particular, can hypnosis help your golf game? NE Hypnosis thinks the short answer is: Yes! Why Hypnosis can help your Golf Game? Golf is a unique sport because it is often played as a more social activity. Unlike many other sports, which can be highly competitive, physically demanding, or team-oriented, golf is individualistic: your game is all your own. You may be invited to play golf with your coworkers and/or your boss as a type of professional building activity. Understandably, a situation like this could potentially be very nerve-wracking, especially if you are a golf rookie. Alternatively, if you are already an experienced golfer, you may be looking to perfect your technique for a variety of reasons: to stand out in the group you golf with, for the personal satisfaction of building a skill to the best of your ability, or even to feel confident enough to play on some of the nicest courses. In any of these cases, it’s understandable why you might want to invest in better your golf game. Golf lessons can cost anywhere from $25 per lesson at their lowest to $150 per lesson at their most high-end, and very rarely are lessons a one-time thing. This can add up very quickly, especially combined with the money you spend on actually getting out on the golf course. Certainly, a large amount of your golf game comes down to your actual skill and technique, which will only come through practice and repetition. (This is where lessons will be the most beneficial.) Because golf is such an individual and such a mental sport, however, mental conditioning makes up an important part of any golfer’s training. Confidence and strong focus are sometimes even more valuable to a golfer than proper form. 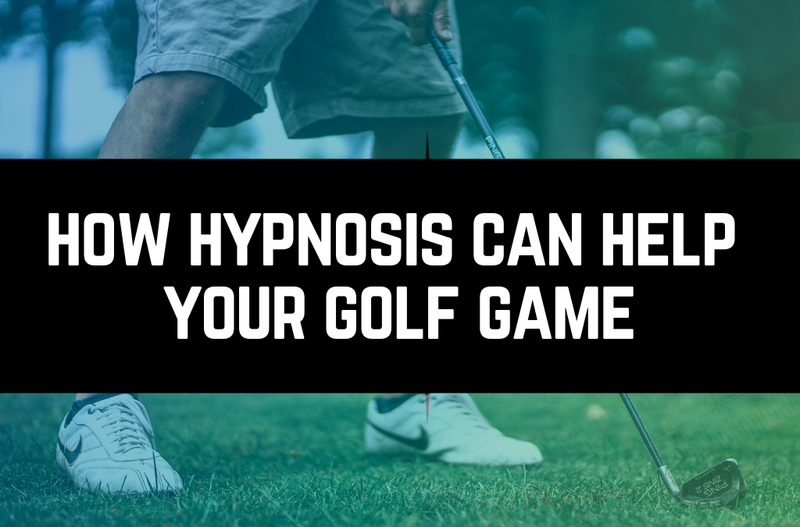 This is where hypnosis can help your golf game: with just one hypnosis session, you can condition your mind to get you on “par” with the pros. One of the great things about using hypnotherapy to improve your golf game is that it won’t be training you to act, play, or think like anyone else. It’s simply a way to bring out the best of what you have – all the skills and confidence under your belt already – and give you the power over your own body to put it to good use. When you are “put under” by your hypnotherapist, you are in a trance-like state in which your subconscious mind is open to suggestion. The result is that when you “awake,” you will be more motivated to follow whatever instructions your hypnotherapist has given to you. Your hypnotherapist will write a script to be read to you while you are “under,” which focuses on the elements of your approach to the golf course that you want to improve. Your priorities here will be key. A sports hypnosis session will attempt to get you to the same mental “zone” you’re in when you’re playing. It will conjure for you your memories of time on the golf course, and rework them into positive visualizations. Think about the hypnotic state you fall into naturally when you’re driving in the car, and arrive at your destination wondering how you got there. This is the power of your unconscious mind taking over your body. Your unconscious mind steers about 90% of your mental activity and is what makes some of your easiest behaviors become “automated,” like second nature. How much could your golf game improve if you trained your unconscious mind to naturally put you in the “zone” when you step on the course, and to make your golf technique come to you like second nature? Hypnosis will only work for you if you are able to keep your mind open to suggestion. Luckily, 75% of those who try hypnosis find that they are “hypnotizable,” and are able to be influenced by their therapist’s instructions and conditioning when put under the trance-like state. Even if you’ve never been hypnotized before, if you feel that you are “open-minded” enough for it to work, there is no harm in trying it! Hypnosis is not a magical fix: it will not be able to play your golf game for you, but it has the potential to permanently change how you guide your thoughts and actions on the course. What will you cover in your hypnosis session that will improve your golf game? Focus: Your hypnotherapist will get you to the mental state of being on the golf course, in the “zone” that you’re probably familiar with, if you are an athlete, and will condition you to tune out all distractions and unrelated thoughts – particularly the negative ones. Motivation: You will start to believe that every time you arrive at the golf course, your purpose here is to use all of the skills and confidence you already have to the best of your ability. You will leave your session motivated to practice and improve. Visualization: While you are “under,” you will picture in your mind the mastery of your drive and your putting: the ball will go where you want it to, driven by your power and skill. The goal is that this visualization will permanently become a part of your unconscious mental activity, so you “see” your golf mastery on a chronic basis, especially when you need it most. Confidence: Your hypnotherapist will assure you that you are completely capable of mastering your game, and help you to calm your nerves when playing in a group. These thoughts will become a part of your unconscious that you take with you to the golf course. Technique: Your hypnotherapist will describe to you the ideal form for all your swings, so this becomes second nature in your mind and will translate to your body. Depending on the person, 60 to 90 percent of sports performance is based on psychological mastery of the game. Because golf is intensely mental, psychological mastery is even more important, and getting to the golf course without any mental preparation would make your game a lot harder. If you want to seriously invest in improving, a hypnosis session is, therefore, a wonderful supplement to lessons and practice on the golf course. You’d be shocked at how much your unconscious mind can help you. What’s better than harnessing the power and skill that you already have to dominate your game? What are you waiting for? If you want to learn more about using hypnosis to help your golf game, contact us through our website. We can also be reached via email at info@NEhypnosis.com. 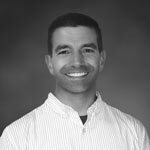 Luckily, Dr. McEvoy is a golfer himself, so he will know all the right things to say!